You can e-mail us at liz@lizargall.com (my Things e-mail is broken). If you would like to post a hard copy letter please e-mail me for details. Sure I want to write a 50,000 word novel in the next 25 days, but that doesn’t mean I stop bringing you the Things every second day. 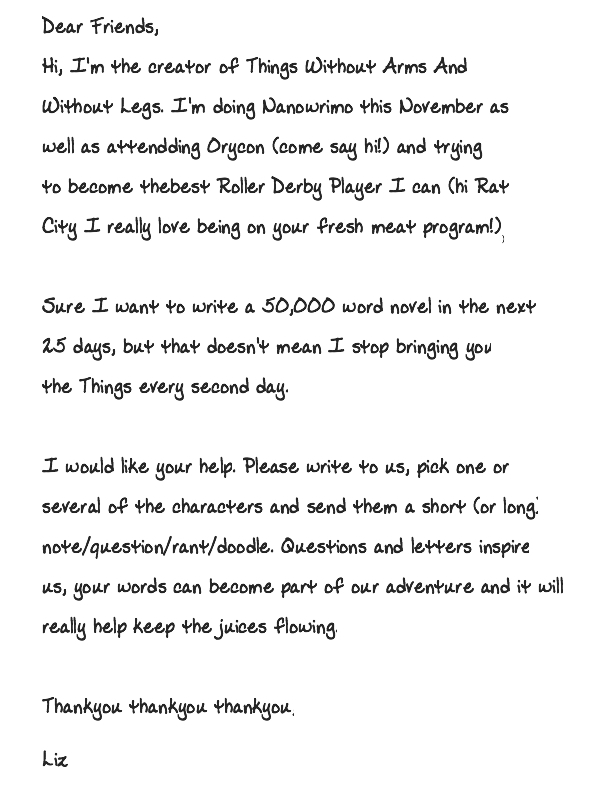 Please write to us, pick one or several of the characters and send them a short (or long) note/question/rant/doodle. Questions and letters inspire us, your words can become part of our adventure and it will really help keep the juices flowing.